ISLAMABAD: Pakistan has reached an “agreement in principle” with IMF over bailout package, minister of state for revenue said on Monday after the lending body announced arrival of its staff mission in Islamabad later this month. will travel to Islamabad this month, the IMF said in a statement. Hammad Azhar said the staff mission’s visit was just aimed at finalising technical details. “An agreement in principle has been reached with IMF,” he announced in a tweet, hours after Finance Minister Asad Umar returned home from Washington where he had meetings with the IMF and World Bank. An agreement in principle has been reached on all outstanding issues with IMF during the Finance Minister's recent successful visit to the US. Technical details and formalities will now be finalised during the IMF's staff level visit to Pakistan later this month. 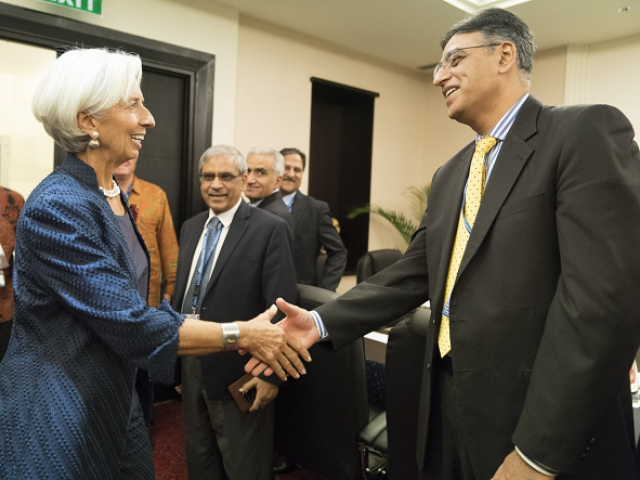 bailout programme but talks ground to a halt, with Pakistani officials saying the conditions attached to the proposed IMF loans could hurt economic growth.